After graduating from high school, I went on to Foothill College, still pursuing music and playing in all of the ensembles, such as symphonic band, orchestra, jazz band and pit bands for musical shows. One highlight of my college experience was being selected to play in the California College Honor Band that traveled back to Michigan for the College Band Directors National Conference. I also performed with the Master Sinfonia Chamber Orchestra at Foothill College and coached at the California Youth Symphony summer music camps. While enrolled at Foothill College, I started teaching private clarinet lessons, traveling to students' homes. In 1968, I transferred to San Jose State to finish my B.A. in Music. Again, I continued to play in all of the performing ensembles and taught private lessons, but this time through a local music store. While at San Jose State, I pledged to the music fraternity Phi Mu Alpha. After graduating from San Jose State, I enrolled in the credential program and the Master's Degree program. In 1971, I was hired by the Milpitas Unified School District to teach instrumental music. I taught in Milpitas for seven years and also developed an extensive private lesson program, which brings me to my current position at South Bay School of Music Arts. 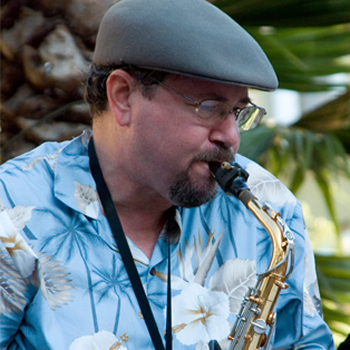 I maintain a 30-student private lesson program as well as instruct the 18-piece big band jazz ensemble.